IMAGE BUYERS. To make contact use the red contact link at the bottom of each page. Cut and paste the File Name and jpeg number above the image. 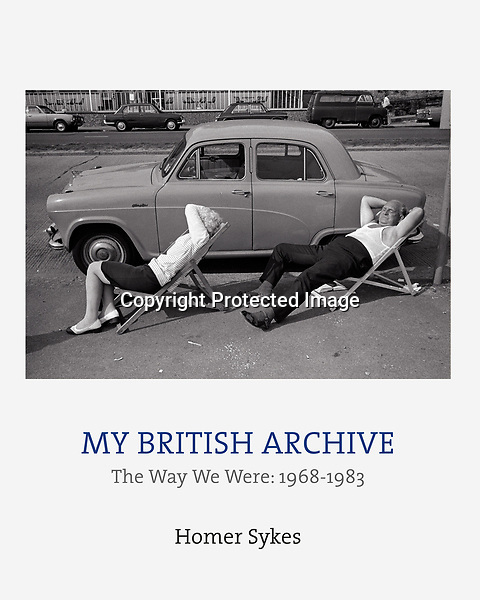 The focus of my archive is Britain, with an emphasis on annual events. Traditional folklore, country customs and major annual social and sporting occasions. Contemporary stories & editorial stock images are added regularly as well as 'new' social documentary work from the late 60s, 70s & 1980s. Go to Galleries (above) for a quick overview. Click an image to see the set. Use the Advance Search facility - top right. Search Tip - Check 'Archive Stock' for images from 60s, 70s, 80s & 1990s. Pricing Queries. I work within your reasonable budget. If you can't easily find what you think I might have please make contact. Read my T&C please they are for our protection. All images are copyright Homer Sykes. All rights reserved and all moral rights asserted. Shop at HOMER SYKES dot com. NEW BOOKS/ZINES. Signed and dedicated as you wish. My British Archive. The Way We Were 1968-1983. Christmas copies £30-00 available from me now. The Blitz Club. March 2017 Poursuite Editions, France. Once a Year Dewi Lewis Publishing. Digital Media prints for home and office display are available, ask for a price list. I have some Vintage Prints from the 1970s, as well as Modern Collectors Fine Art Prints. Ask for details. Paul and Linda McCartney Wings Tour 1975. BYKER & ST PETER'S WORKING MENS CLUB 1970's BRITAIN NEWCASTLE UPON TYNE. SHROVE TUESDAY TRADITIONAL FOOTBALL GAME ATHERSTONE WARWICKSHIRE ENGLAND UK. A BRITISH EYE ON THE WORLD 1985 Rio de Janeiro.